MALEVOLENCE is a constructive three-day conference focused on the hyper-masculinized state of hip-hop and the malevolent behavior it fuels. 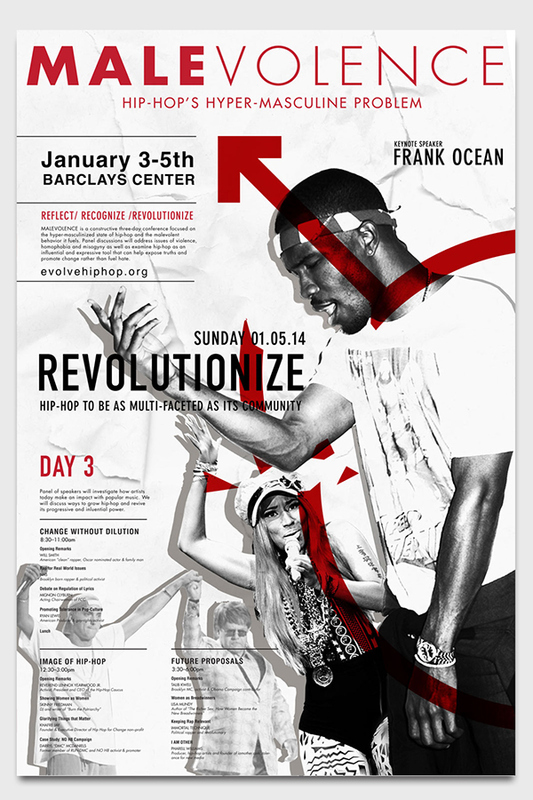 The confrence focuses on issues of violence, homophobia and misogyny that often infects hip-hop as its artist try to conform to a one-dimensional representation of the dominant male rapper. 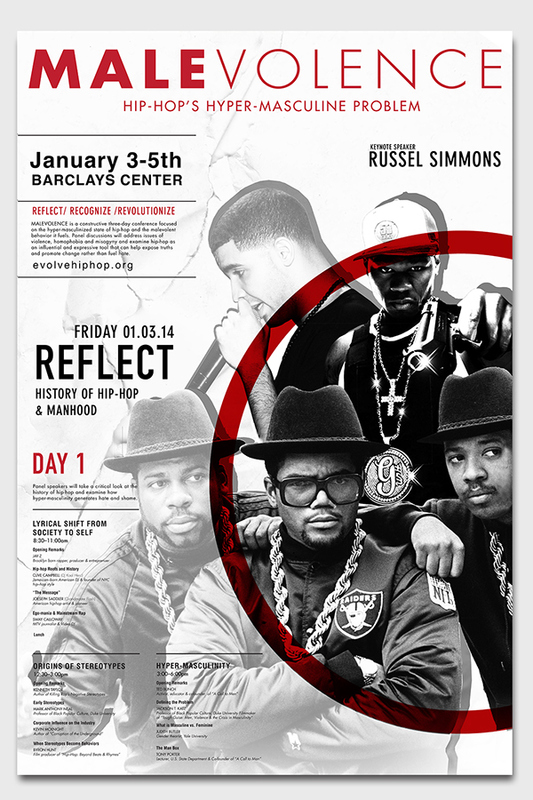 However, overall, the conference's goal is to examine hip-hop as an influential and expressive tool that can help expose truths and promote change rather than fuel hate. 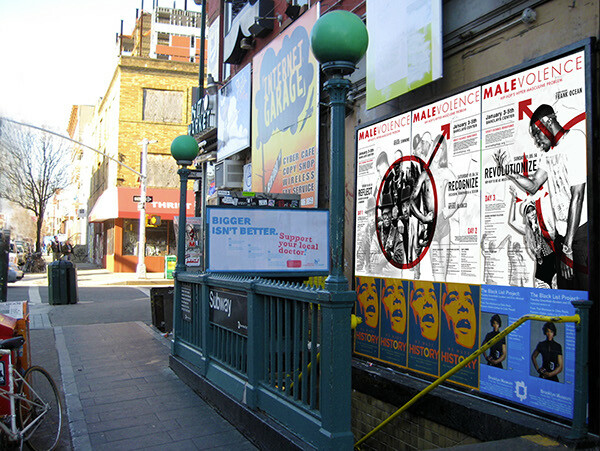 The poster series, website design, stationary and collateral were designed as part of my Visual Communications I class. We were responsible for choosing a topic, naming the conference and overall visual branding.